Do you want a President Donald Trump Coloring page? 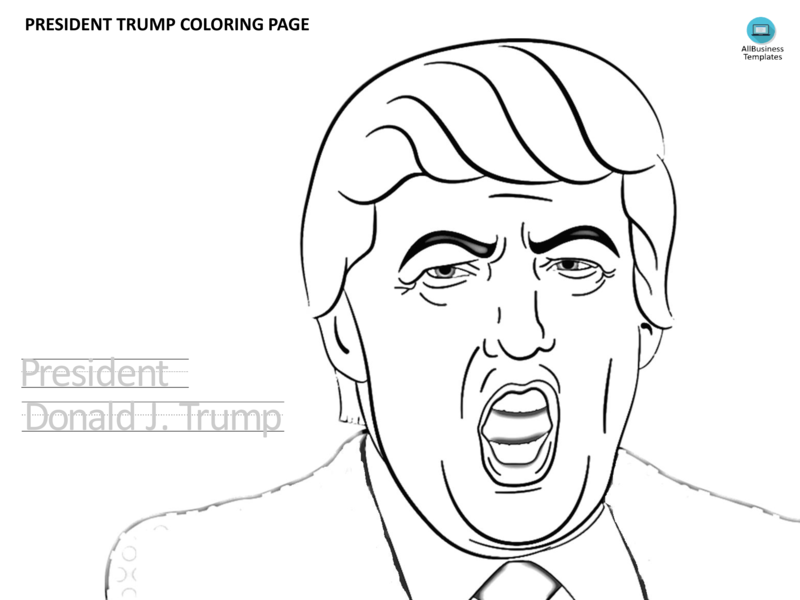 Download this funny President Donald Trump Coloring page template now! "Nobody knows more about coloring than I do!" ... and gladly we accepted this challenge. Now you prove it! We provide this funny President Donald Trump Coloring page, to get you drawing! It is the perfect choice for those who are looking for color page templates. Kids can now color the picture of the forty-fifth president of the United States of America. For more of our free educational materials on the American presidents, check our website. Download this Donald Trump, Forty-fifth (45th) President of the United States Coloring page template now! Fast, safe and easy!